A sweet set of Little Hands Trust books for toddlers that explain concepts such as colors, shapes and textures in a simple and accessible way. Tom was immediately transfixed and looked at each page carefully making little noises when he saw the instruments. There are many board books that explain concepts to toddlers but the charm here is Niki and Jude Daly’s illustrations and style. 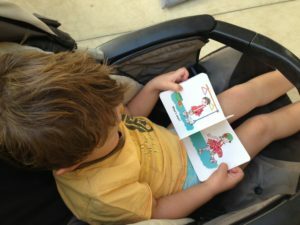 There are books on animals, bugs, playtime and opposites. 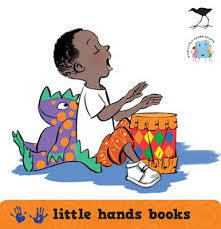 Little Hands Trust is a non-profit trust which promotes reading and literacy and they have other toddler books by different authors, in all the 11 different official languages in the same range.